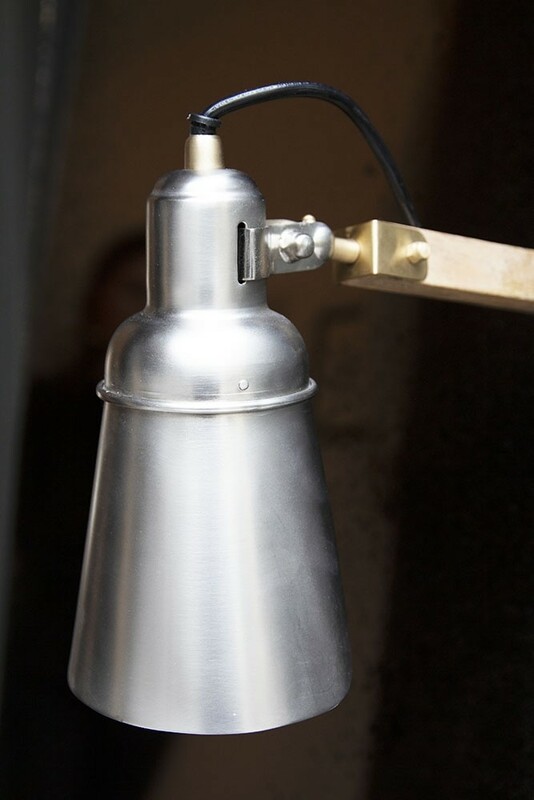 A striking industrial style clamp light the Retro Style Directional Clamp Task Light is perfect for all of your functional lighting needs. 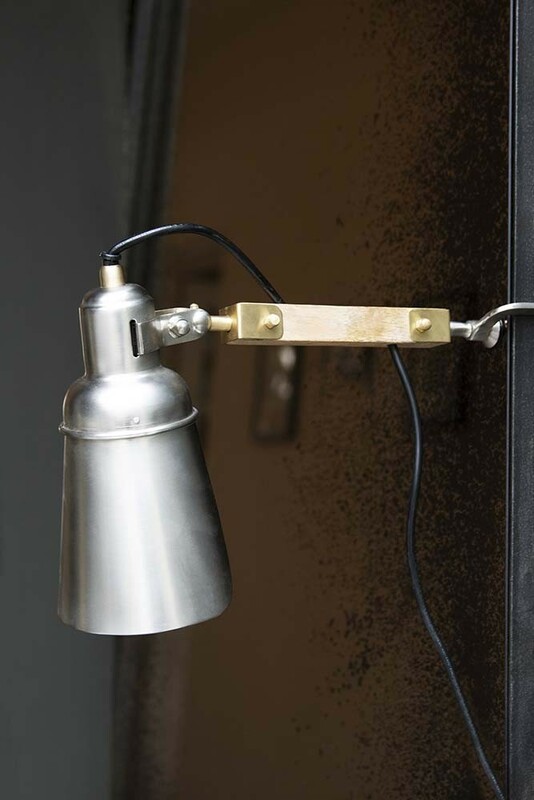 Featuring a nickel shade, brass fittings and a wooden arm the directional lamp can be clamped onto your tables and shelves and angled according to your needs. 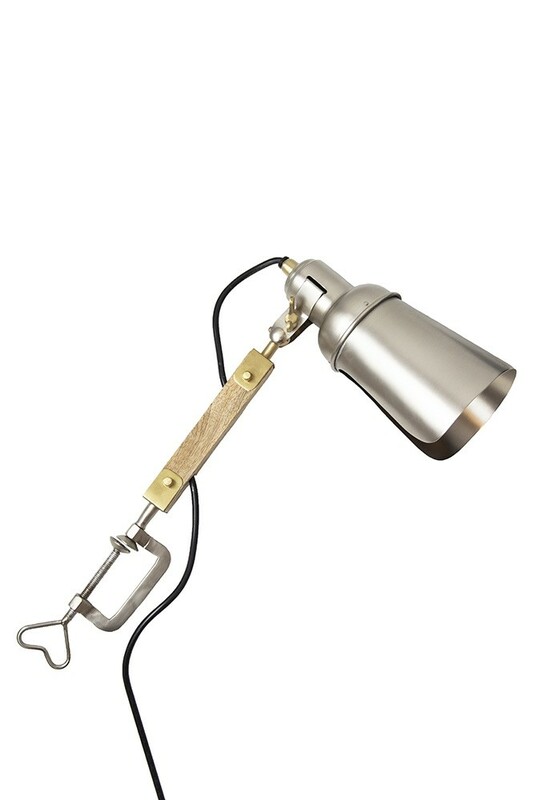 The Retro Style Directional Clamp Task Lamp measures W12cm x H22cm x L33cm. Functional lighting is a household essential, but at Rockett St George we believe that functional and useful pieces should be beautiful too. The Directional Clamp Task Lamp was curated with this in mind. A beautiful light task table or shelf light the lamp can be clipped on to the side of your tables and shaves and will illuminate your work surfaces so that you can get on with your day-to-day tasks. But, that’s not all! We think that you will particularly like the Directional Clamp Task Lamp because it’s a multi-functional piece that you can be used in different rooms in the home. Clip the light to your bed frames as a handy bedside table lamp. Clip it on your open shelving in the kitchen to light up your counter tops and pop it on the side of your desks and tables to illuminate your work. A fabulous Industrial lamp the Retro Style Clamp Task Lamp will complement a variety of décor styles from farmhouse interior styles, converted warehouse styles and modern eclectic styles.